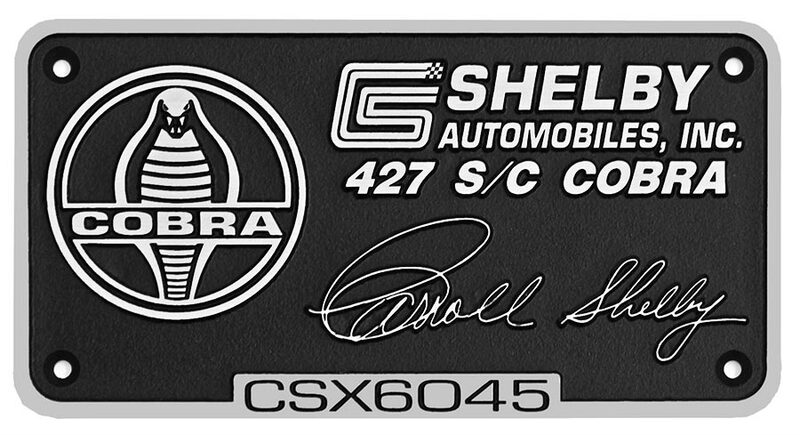 Shelby 427S/C Cobra, CSX6045. 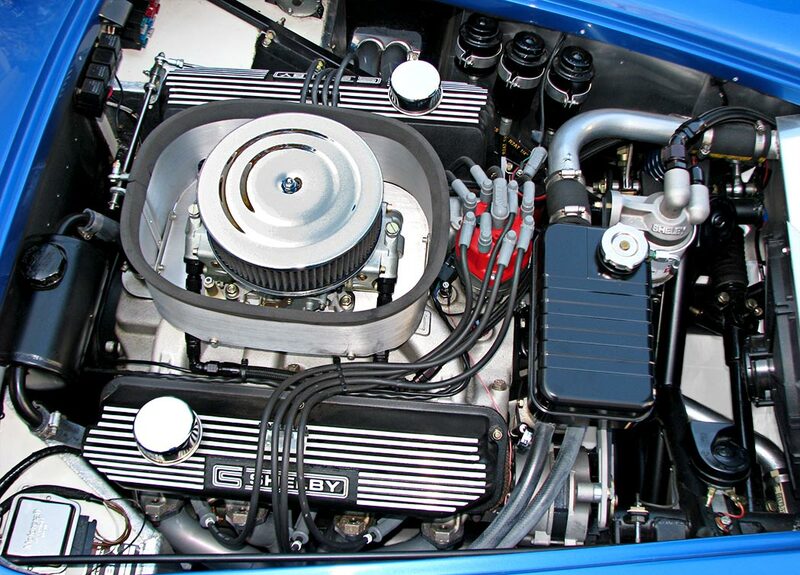 Intense Blue Pearl (PPG#5357) finish. 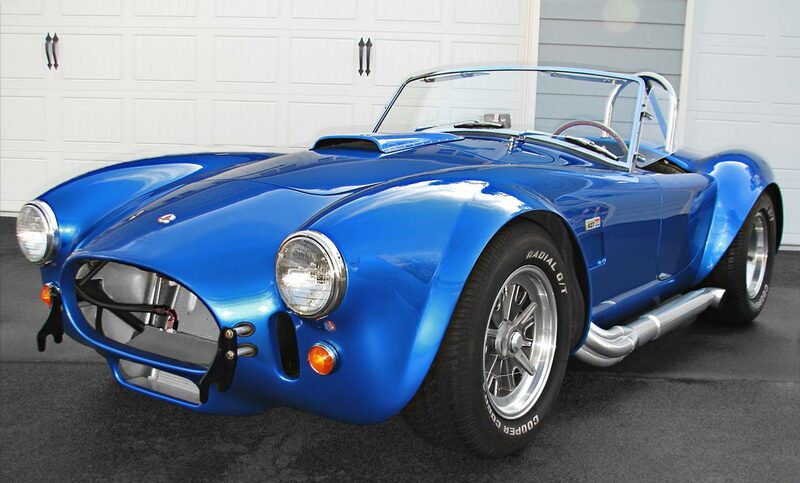 This blue beauty is offered for sale by its original owner. 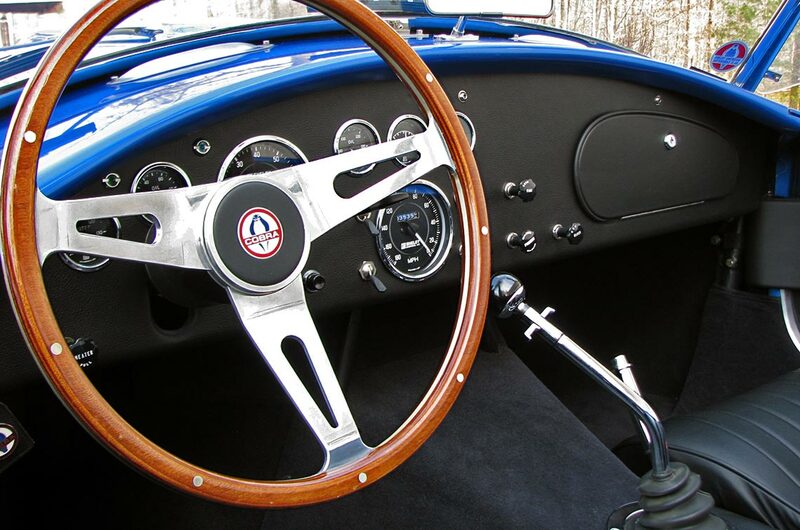 With only 3,535 thoroughly-pampered miles [5,700 km] and fully-sorted, it’s ready for you to enjoy the thrill of a driving experience that comes only from a Shelby Cobra. 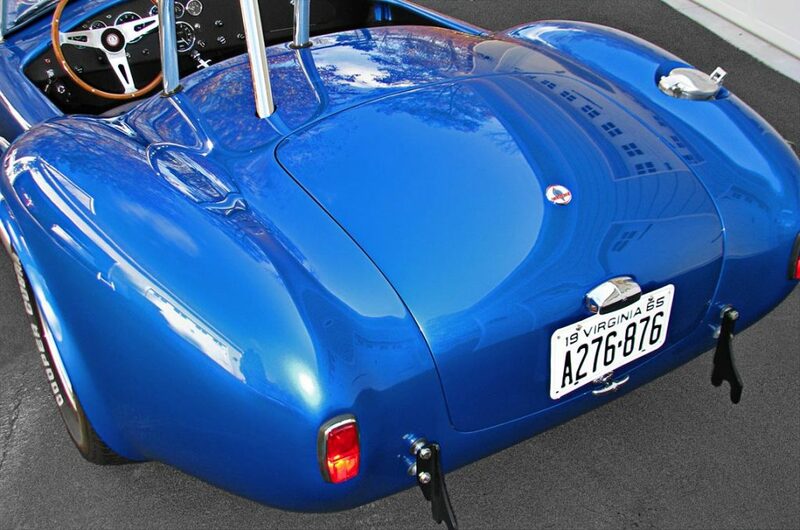 The handlaid fiberglass body is finished in show-quality Blue Pearl PPG paint—also known as 40th Anniversary Blue. 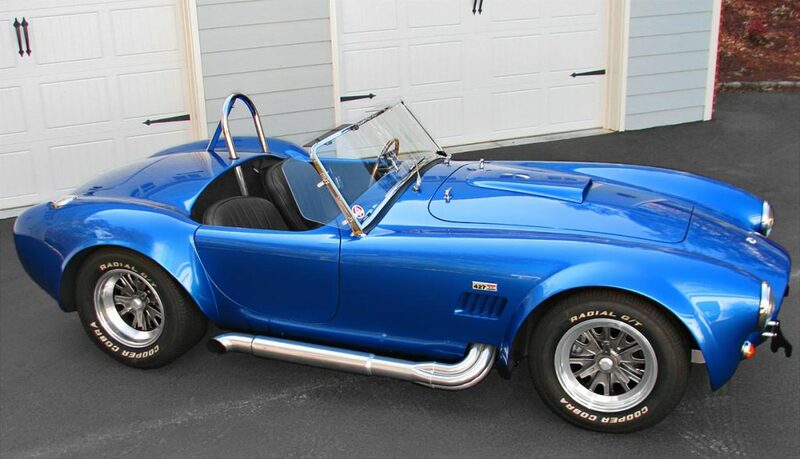 It’s titled and registered in Virginia as a 1965 Shelby Cobra 427 (replica). 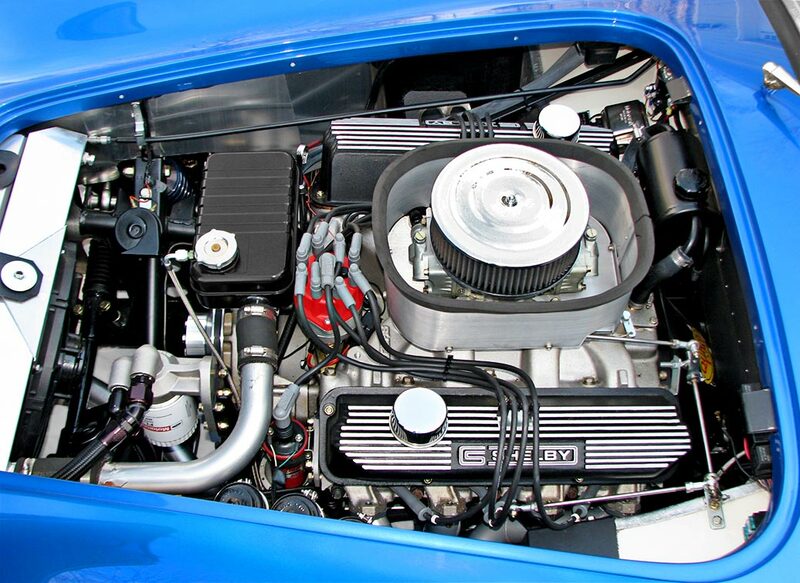 Click on the engine photo above to see it at a much larger size. 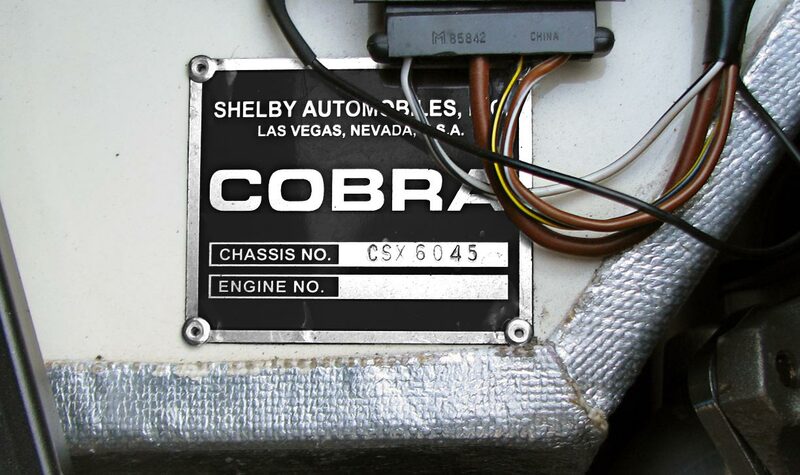 Click on the chassis plate photo above to see it at a much larger size. 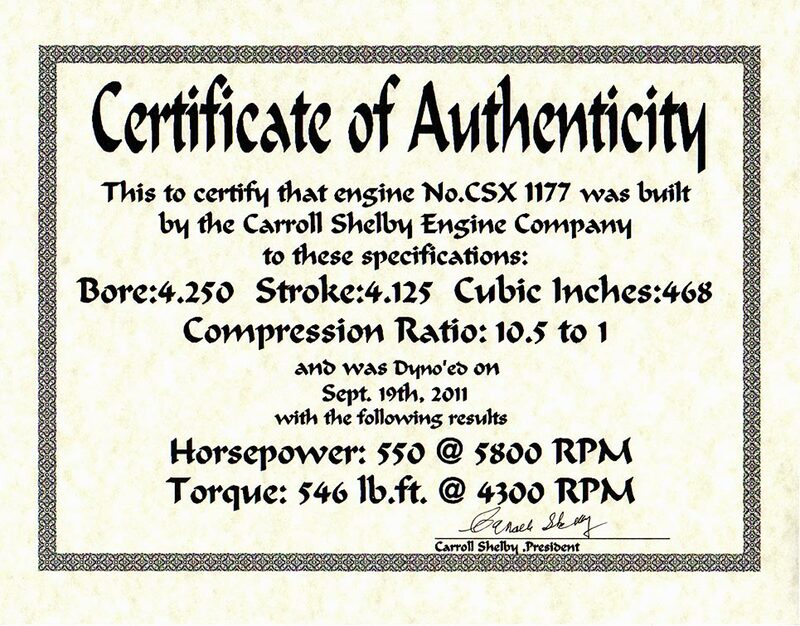 Click on the engine certificate above to see it at a much larger size. 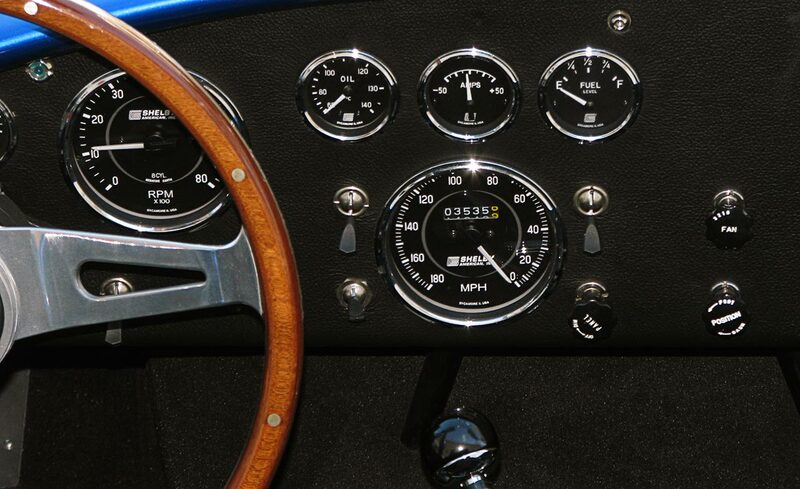 Click on the gauges & switches photo above to see it at a much larger size. 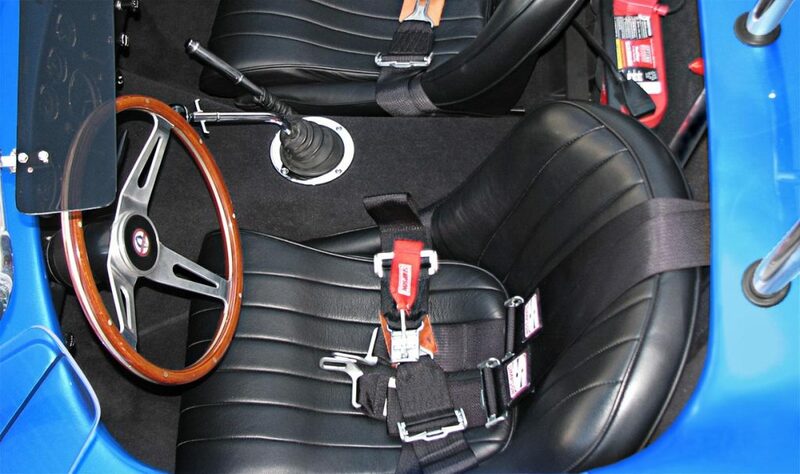 Click on the dashboard plaque above to see it at a much larger size. Click on the MSO above to see it at a much larger size. 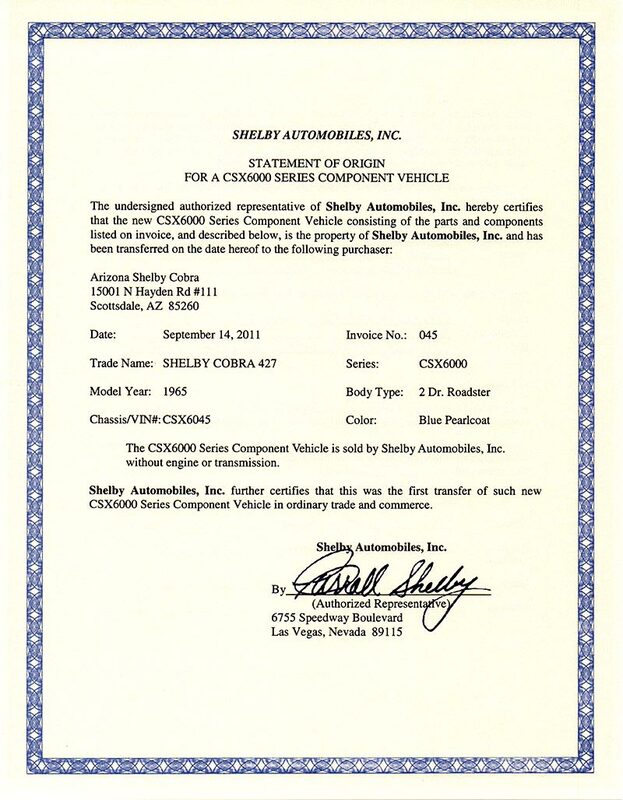 You get a copy of the MSO (Manufacturer’s Statement of Origin). 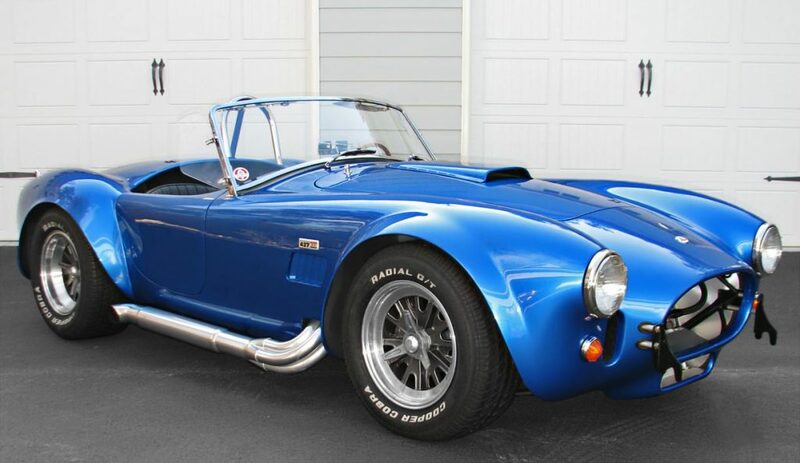 You could invest over $155,000 and then have to endure several months waiting time to have a drivin’ machine like this built by Shelby. 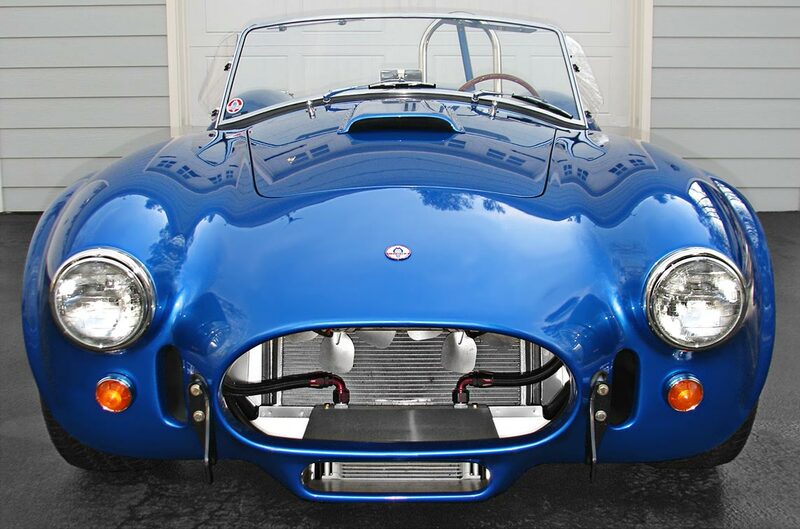 Or you could have this fine Shelby serpent on its way to your motorcar stable today. It’s fully sorted and ready to provide you with exhilarating motor adventures. 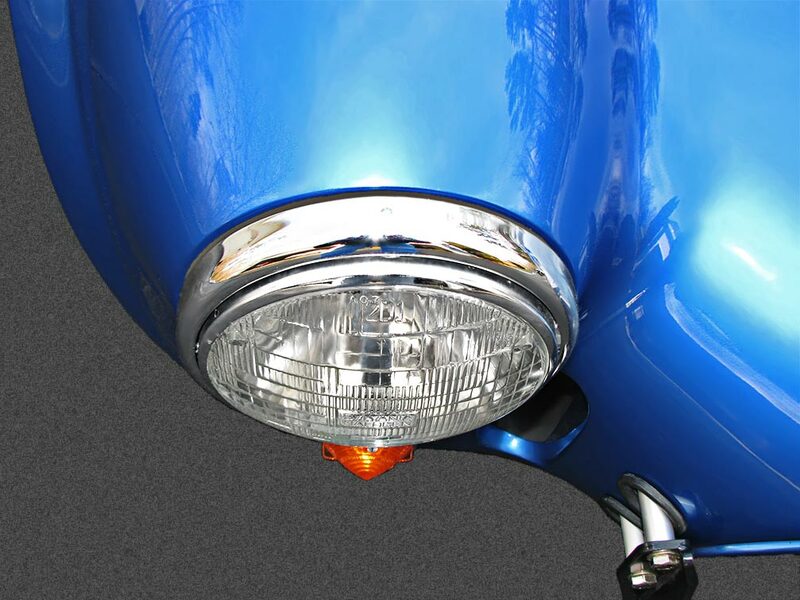 And you’ll encounter no downside surprises.